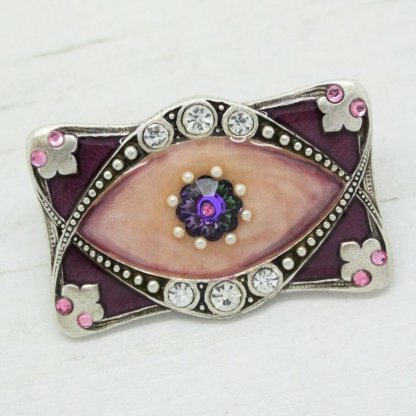 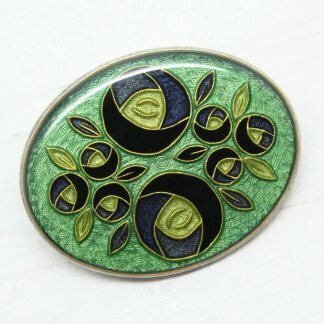 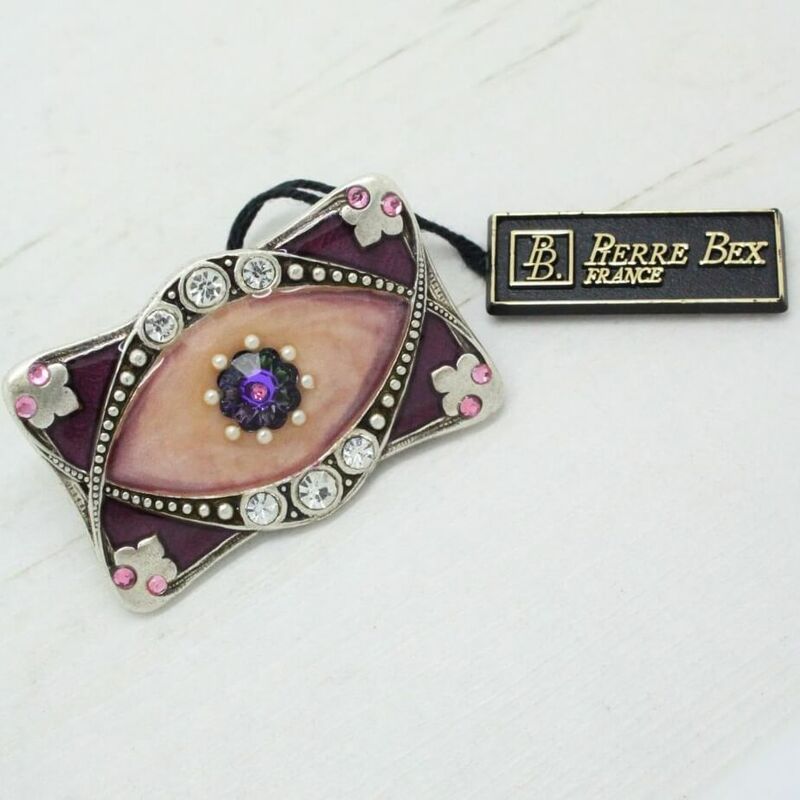 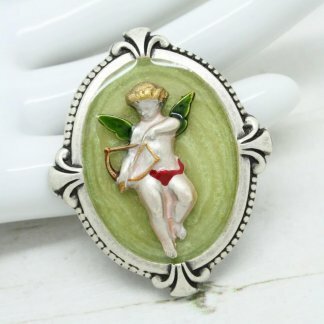 A stunning romantic art deco design in hand-laid enamel and rhinestones on antique silver. Featuring beautiful purple & cream tones. Measuring 4cm across widest point. 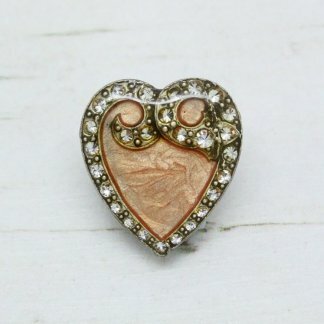 In lovely condition, showing slight to no wear, it appears unworn and ‘new’.